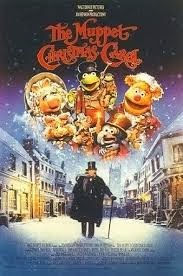 The Muppet Christmas Carol is on in the kitchen. This will be followed by Polar Express and then Nightmare before Christmas. DS has made the sweet cranberry sauce and I have stuffed and put the turkey in the oven. I always cook it today: takes all the stress out of cooking it on Christmas day. Hubby is peeling potatoes and I will finish the carrots, leeks and of course sprouts and they will all sit happily until tomorrow. We have had a bit of a set back in that I have shingles: all along from my surgery scar to across and up to my spinal cord. We thought it might be linked to you know what and I bet the dr has never ever had anyone say ' Phew....Yay, Shingles!' and dance around his surgery before! I am in a lot of pain but I've very nice pain killers and I refuse to lose my Christmas spirit and actually am quite pleased that at least I know now why I have been feeling so rough and not up for anything like stitching! Don't forget to enter my giveaway which will be drawn after Christmas. It is open to everyone, international post is fine. I have it on good authority that Santa will help and lend me a reindeer to keep the costs down! God bless you all this Christmas! Merry Christmas to you and yours. Hope 2014 will be a happy for you all and bring improvements to your health. Merry Christmas to you and yours! You are watching some of the movies I enjoy this time of year. Christmas movies are so truly wonderful!! Hope you find better health and more stitchy-ness in 2014! Oh, I wish I could see their faces when you were excited about shingles! Sending healing prayers! Wishing you and your family a very Merry Christmas! I will say prayers for you, that the shingles go away more quickly so you can enjoy the time with family! Bless you and yours this Christmas! I am so sorry to hear that you have Shingles. I hope that you feel better very, very soon! I want to wish you and your family a very Merry Christmas. May love and peace fill your heart. Take care my friend! Oh gosh, Shingles are awful. I hope that you get better soon. Merry Christmas to you and your family!